My new organizer began this month, and today I finished the digital collage that adorns the first page. Mama and I used to create these fun pages together with stamps, stickers, ticket stubs, and other mementos. I created a digital version a couple of years ago, which I now update for a fresh look each year. 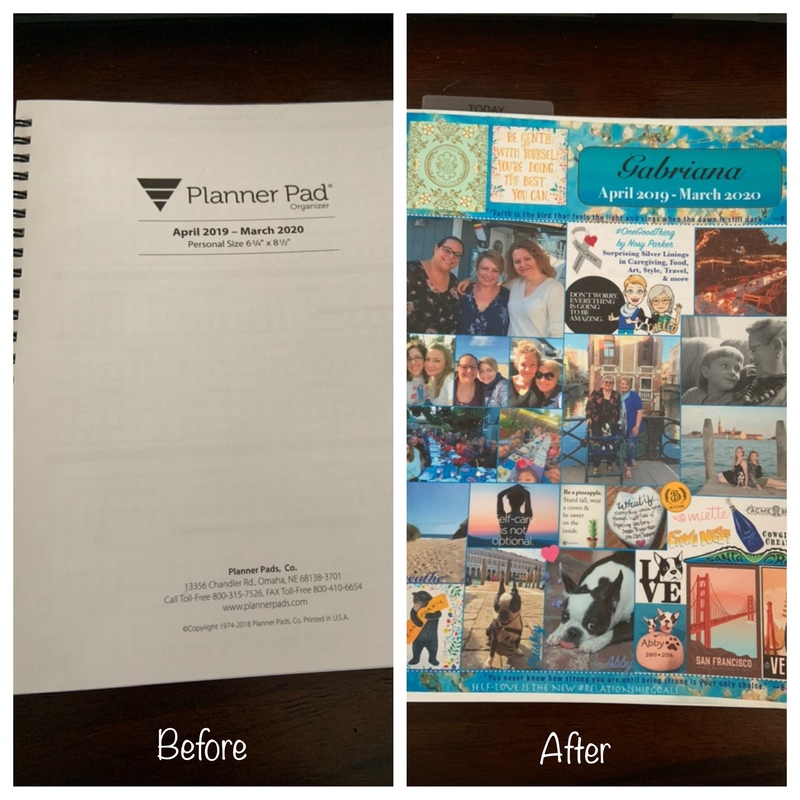 I am obsessed with my PlannerPad organizer and heavily rely on it to keep track of our lives. This decorated page brings me such joy and comfort, and that’s today’s #OneGoodThing with Mama! What was your #OneGoodThing today? Please share in the comments! Day 106 of 365. And Day 1,202 in a row (here’s the first 366, & the following 365, & the third year of 365 good things)!